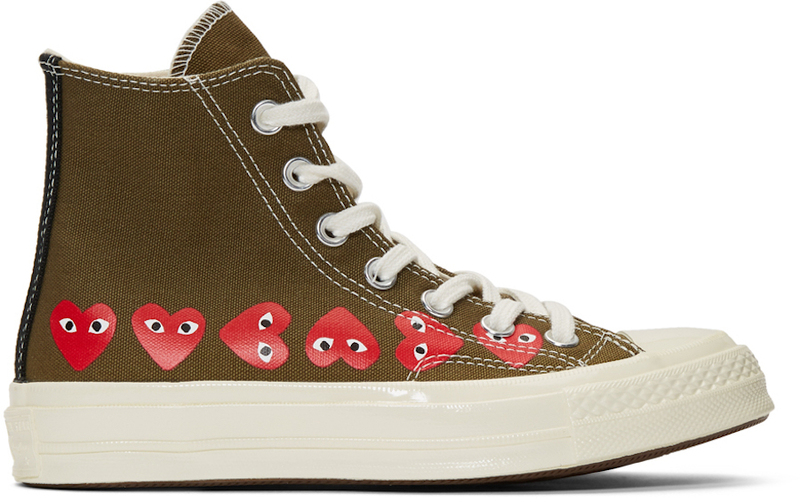 Comme des Garçons is connecting with Converse once again to expand on their releases and this time around they have dropped a Khaki edition of the Chuck 70 Hi. 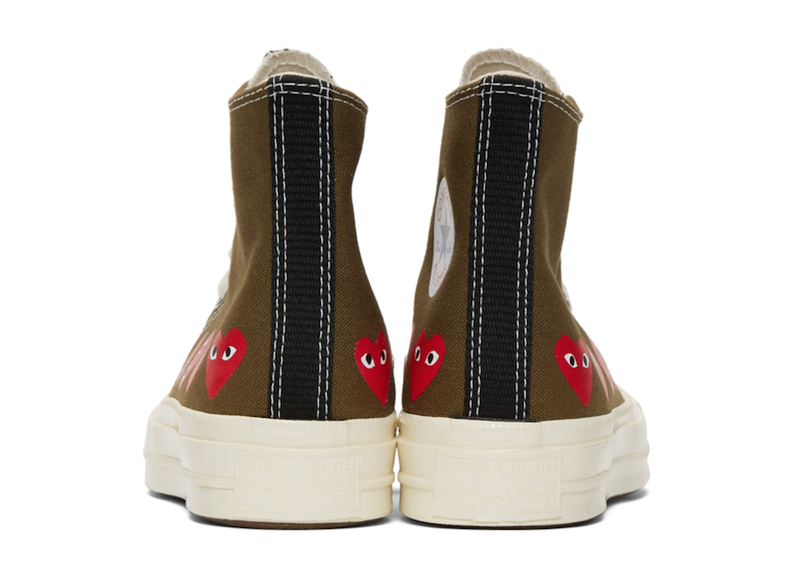 Looking closer they feature Khaki canvas across the upper while CDG hears runs across the lower part of the panels. 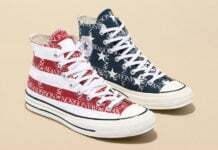 Following we have the star patch on the medial collar while White lands on the laces. 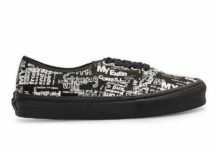 Finishing the look we have Off-White on the midsole and a Gum rubber outsole. 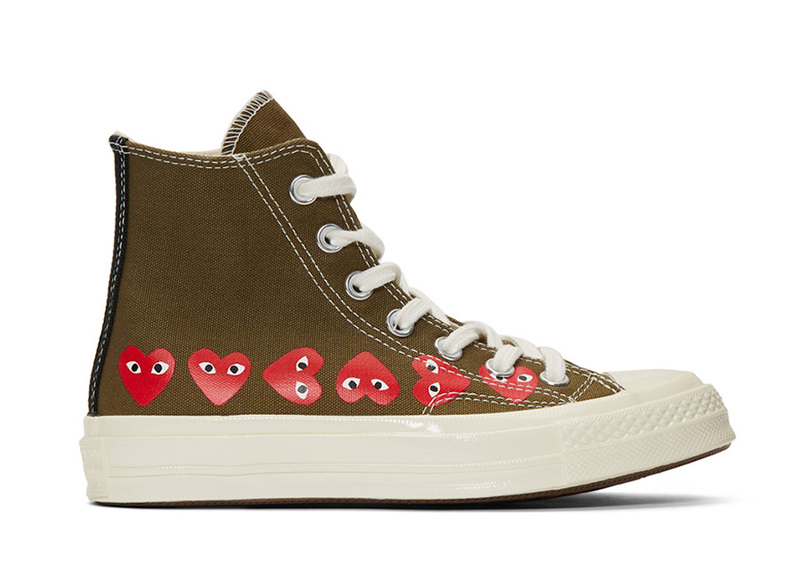 For those that want to purchase this CDG Chuck 70 Hi, they are now release at select retailers like SSENSE. 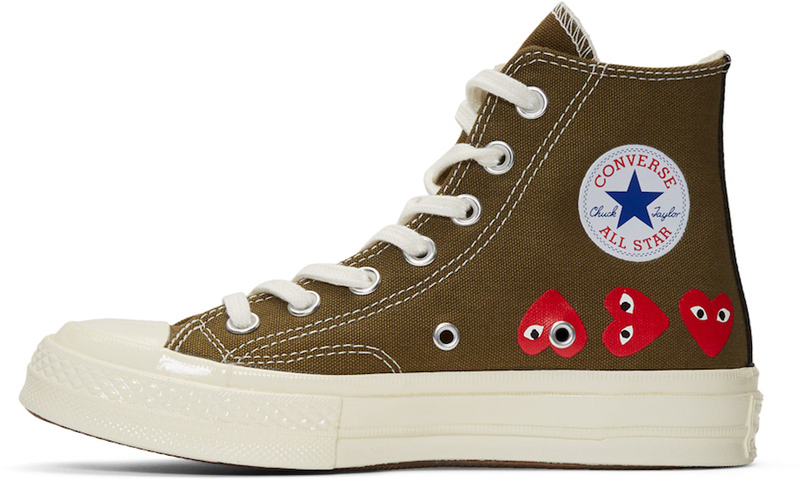 Retail price is set at $135. Below you can check out more images which will give you a better look.